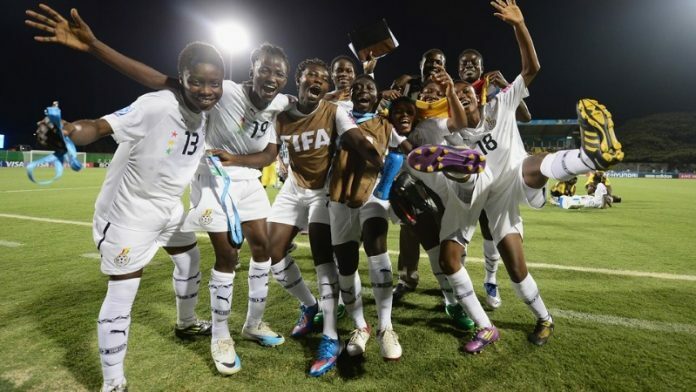 Ghana will battle Korea DRK in the quarter final stage today in the ongoing FIFA Womens’ World Cup in Jordan. The Maidens will have to beat the Asians to keep them in the competition. The Maidens have already beaten USA, Paraguay and lost to Japan in their first group stage game to reach the quarter final stage. Coach Evans Adotey is very optimistic his side will beat the Koreans but will have to do it without two key players. Rafiatu Alhassan collapsed last night and was rushed to the hospital and Grace Asantewaa has also been ruled out of the game due to suspension. Coach Evans Adotey must rely on other good players in camp to go into the game to be able to triumph over Korea DRK. Kick off time for the match is 4pm (1pmGhana time). The match will be played at the King Al Hassan Stadium in Irbid.